EN EL DIA DE LA FECHA SE REALIZÓ EL ACTO EN CONMEMORACIÓN DEL 202º ANIVERSARIO DE LA DECLARACIÓN DE LA INDEPENDENCIA DE NUESTRO PAÍS. 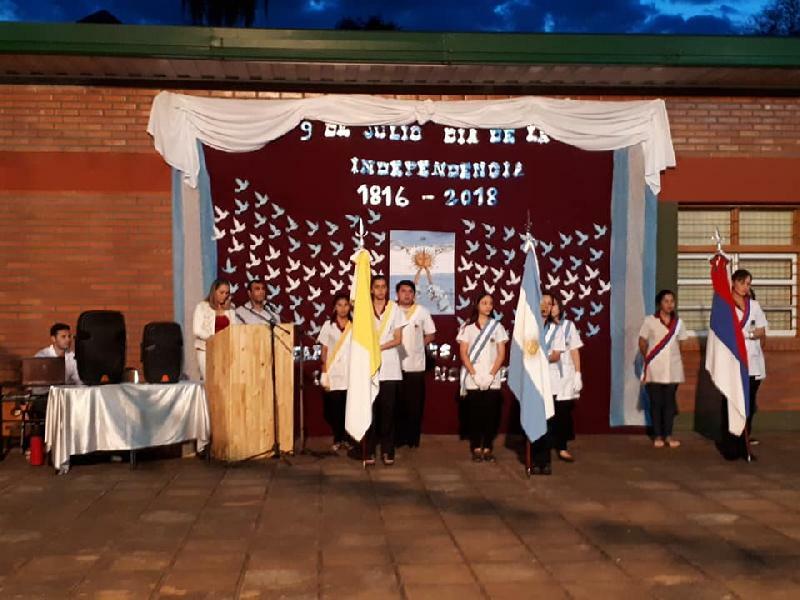 ADEMÁS, SE REALIZÓ UNA PEÑA FOLKLÓRICA DONDE PARTICIPARON ALUMNOS DEL NIVEL SECUNDARIO Y TERCIARIO DE NUESTRA INSTITUCIÓN, COMO TAMBIÉN ALUMNOS INVITADOS DEL INSTITUTO NUESTRA SEÑORA DEL CARMEN Y DEL BALLET MUNICIPAL "EL MENSÚ", A CARGO DEL PROFESOR ROSALINO JARA. TAMBIÉN SE PRESENTARON STANDS, DONDE CADA CURSO DEL NIVEL SECUNDARIO ESTUVO A CARGO DE EXPONER COMIDAS Y VESTIMENTAS TÍPICAS DE CADA REGIÓN DE NUESTRO PAÍS.